Early on, he was on the vanguard of the symbolist movement in the late 19th century. His "Zephyrs" painting, presented in 1877 at the Paris Salon, won a gold medal, and is considered one of the earliest of the Symbolist movement, predating the major artistic output from the movement which did not get running until the 1890s. With his contemporary Eugène Burnand, he became one of Switzerland's most prominent artists in Paris. In 1883 Robert visited Palestine, and after spending a year there his artistic production shifted away from Symbolism towards a more religious sentiment. This is reflected in what is perhaps his best-known work; three monumental murals for the stairwell of the museum in Neuchâtel. Measuring seven meters by nearly six meters, the paintings took the artist eight years to complete. He was a member of the Federal Commission of Fine Arts between 1891-97 and the Commission of the Gottfried Keller Foundation between 1894-1918. 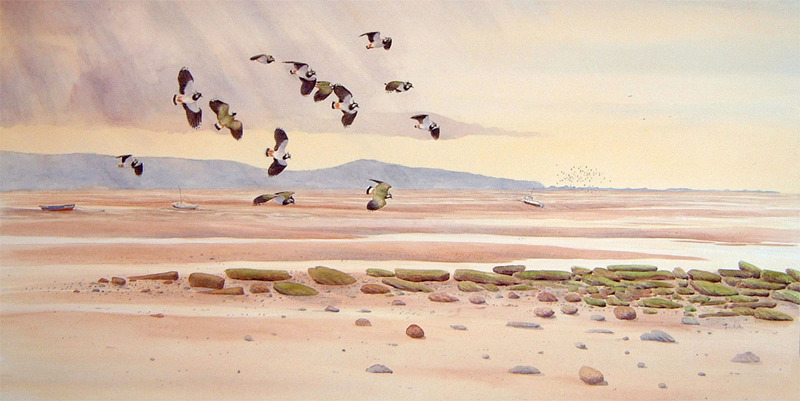 Later in his career he established a reputation as a landscape painter, while also developing a particular speciality as a painter of birds (and caterpillars). 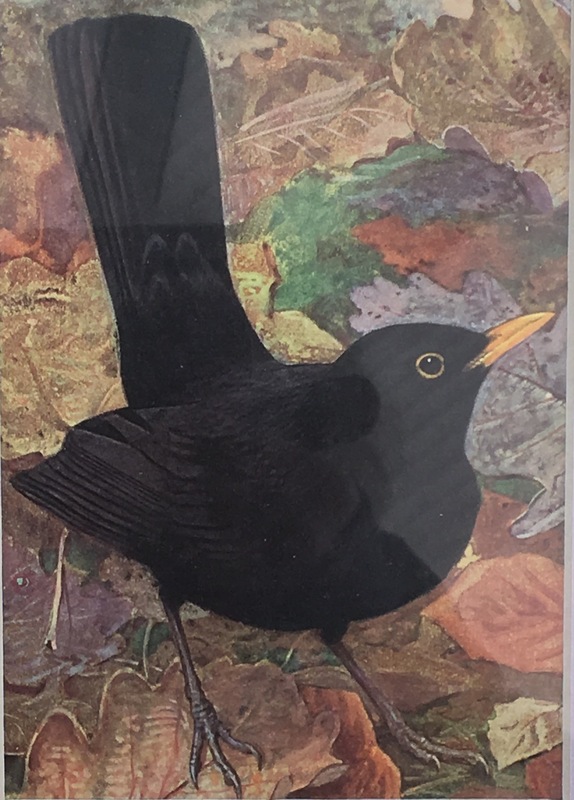 Perhaps his best known work was Les Oiseaux dans la Nature (1878-1880), a publication of 60 fine plates issued with a French text by Rambart. 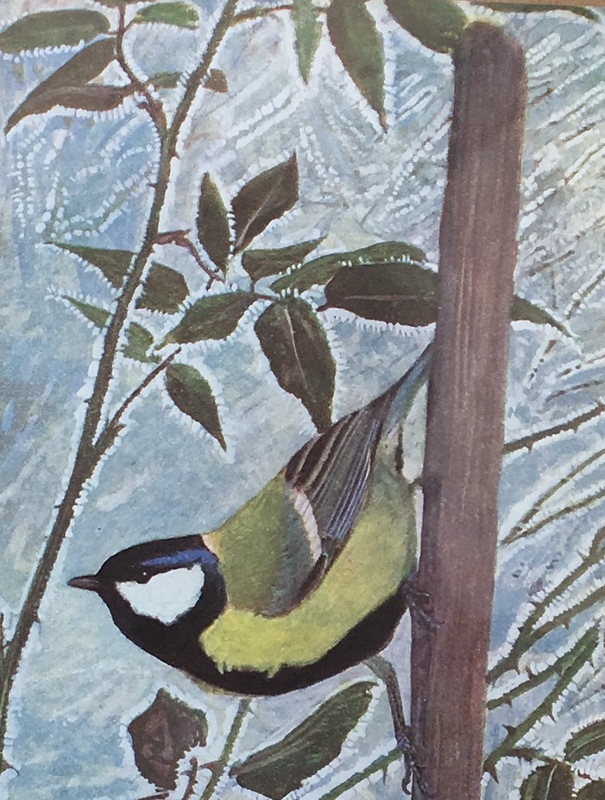 Some of these pictures also appeared in Harting’s Glimpses of Bird Life (1880). The illustrations in these early works were printed in chromolithography by Lemercier. They were sometimes called “French style” chromolithographs and were intended to duplicate watercolors or paintings using translucent inks to create lovely images which often look much like the original artwork. This type of print became very popular with artists in the 1880s and 90s. These prints could be kept as a “book,” but really they were issued mostly in portfolios (loose prints with covers) rather than bound as books. They were intended to be framed, much like the original paintings or watercolors, and they can still be used to that end today. 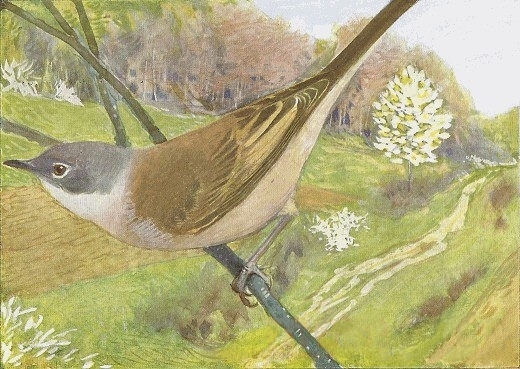 Like Thorburn (1860 – 1935), a contemporary, and admirer of his work, he painted birds in a characteristic dynamic activity and posture often set against impressionistic distant backgrounds or beautiful and harmonious landscapes. 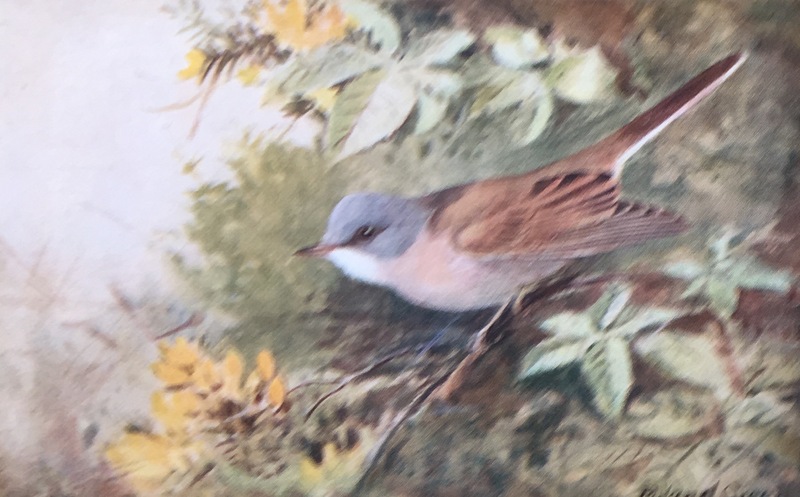 The Whitethroat in the ‘Featured Image’ is typical of his bird paintings. You can see more of his work on my posts of “Dipper” and “Carousel of Birds”. Yes it is rather – isn’t it!